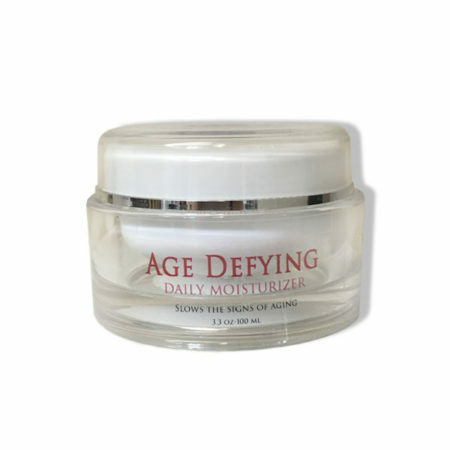 Our Age Defying Moisturizer, is light, silky, and creamy on the skin and can be worn comfortably under make up. Our proprietary blend of carefully selected essential oils, mango butter, and tamanu oil encourage repairing, tightening and toning of the skin. Perfect for dry, sensitive skin. Sandalwood Oil has been used in Indian Ayurvedic medicine as an anti-aging tool for centuries. One of the way’s sandalwood is thought to slow the aging process is through natural anti-inflammatory properties that improve circulation throughout the body. Frankincense is inherently astringent so it acts as a balancer, reducing excess dryness or oiliness, returning the skin condition back to normal. Myrrh is anti-fungal, antibacterial, improves texture of the skin, tones wrinkles, and fight’s free radicals. Tamanu oil is reputed to have wondrous wound-healing properties. 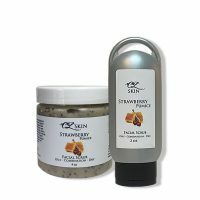 Promoting the healing of acne, eczema, psoriasis, burns, rashes and insect bites. 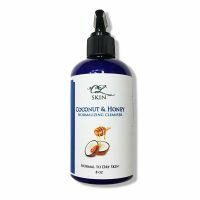 Used in skin care not only does is aid in healthy skin but it is also a good water-binding agent. Tamanu Oil has a rich, woody-spicy scent. Green Tea is well known for its cancer-fighting elements. The natural antioxidants found in green tea help block the development of skin-cancer cells and reduce inflammation with its cooling properties. contains anti-oxidant, anti-inflammatory and anti-aging properties. CL recommends our Age Defying Cleanser before using this moisturizer. Also our serum is an amazing add to your daily skin routine.